SiteLab Ultrasonic Flow Meter is a registered US trademark byflow measurement professionals with more than 37 years of experience in flow measurement and flow standards, 34 years of which have been in the ultrasonic flow measurement field. We are pioneers in the ultrasonic flow measurement industry and possess many years of experience valuable to our customers. Primarily designed for clean liquid applications, the SiteLab will handle liquids with small amounts of suspended solids or entrained air bubbles, commonly found in industrial and mining applications. Ultrasonic flow meter SiteLab units are user friendly and easily set up in just a few minutes by means of an interactive display, whereby various parameters, such as the type of fluid to be measured, pipe size, thickness of the pipe wall and material of construction, are all entered into the unit and the unit then computes the data in order to give the setting distance between the two ultrasonic sensors. The fixed unit of Ultrasonic flow meter consists of a wall mount electronics package housed in a Nema 4X (IP65) enclosure and two clamp-on sensors that are permanently clamped to the outside of the pipe. The electronics package offers an easy to read 2-line LCD display with a 16x pushbutton keypad for setting up purposes that utilises a simple menu driven process that makes setting-up very easy and convenient for the operator. A 4-20 mA current loop output as well as pulse and frequency outputs enable the unit to be used for continuous monitoring of flow as well as for totalising and batch operations. The unit is powered from a mains or DC voltage supply. 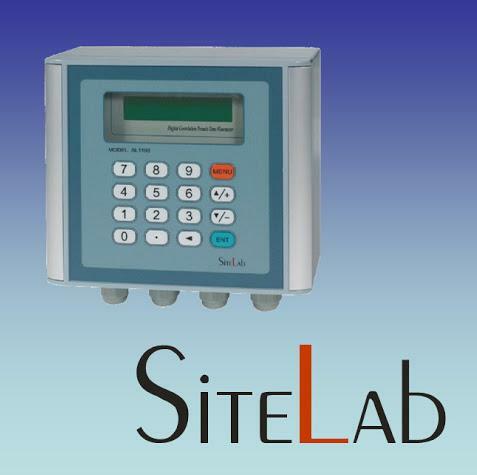 For applications where monitoring is infrequent, or where it is required to spot-check the operation of pumps or other process equipment, such as the flow through heat exchangers, the SiteLab model SL1188P portable ultrasonic flowmeter can be used. It offers a great advantage in ease of setting up since it utilises Bluetooth communications between the flowmeter and a Tungsten Palm PDA device to allow for greater portability and increased battery life. 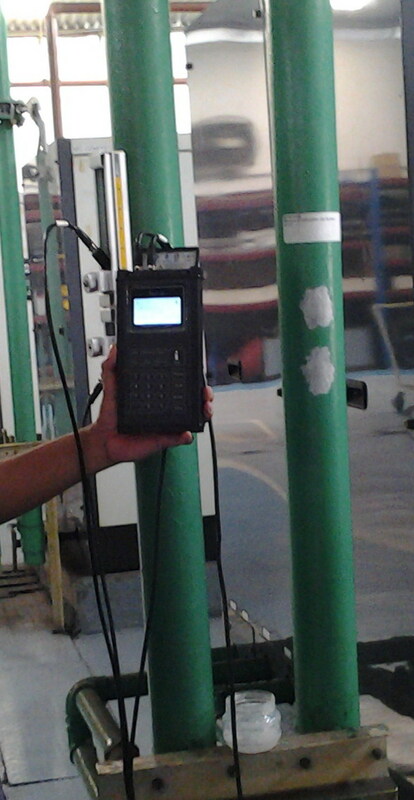 The software included with the system enables the PDA display to be used in the same way as the interactive display on the model SL1188 fixed unit. The PDA display and stylus offers the same functions and ease of setting up of parameters that are downloaded to the flow metesr by Bluetooth wireless technology from up to 10 m away. The Tungsten PDA offers enhanced functions for logging and trending in a real time environment or for later visual interpretation with its unique graphing function. The SiteLab SL1188P portable ultrasonic flow meters is supplied in a handy and lightweight carry case with the flowmeter, sensors, PDA, battery charger and all standard accessories. The flowmeter itself is supplied in a separate leather carry case with a shoulder strap for ease of use. 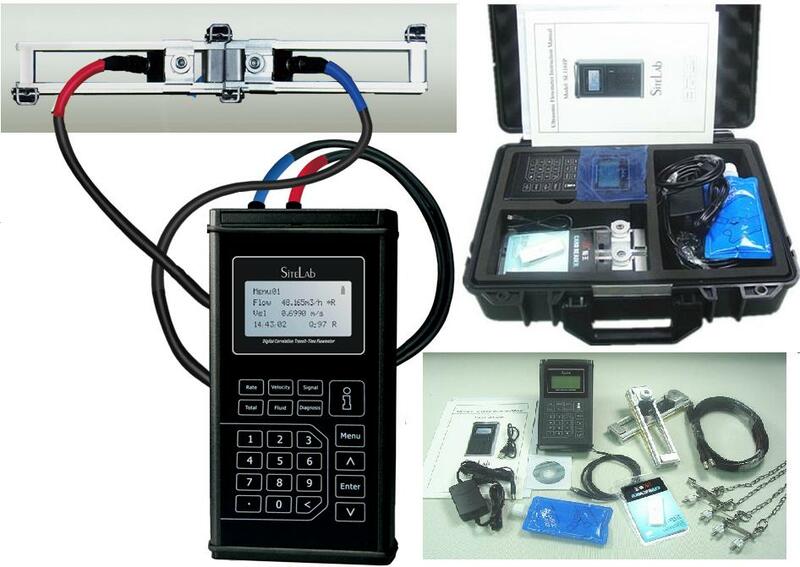 Measurement is unaffected by the fluid viscosity or conductivity, and since it is a clamp-on device, it is non-intrusive and offers a low cost of installation.